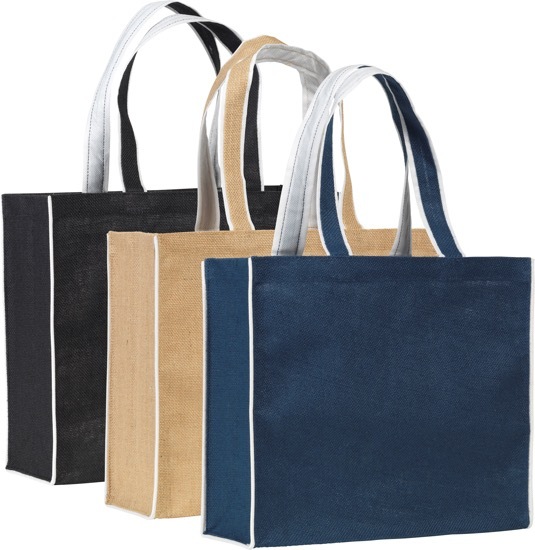 Description: Large, environmentally friendly, Eco tote shopper bag made from 14x15 natural jute with L.D.P.E backing for extra structure. 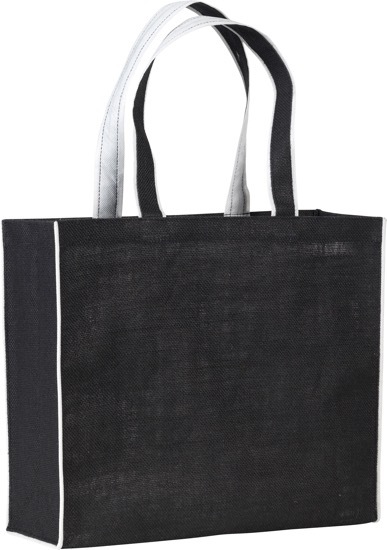 The contrast piping and handle material is White Non Woven Polypropylene. Standard Colours are closest to: Black-Black, Navy-281U, Natural-Natural.